Although the Croatia midfielder continues to be linked with a move to Inter, Luka Modric is included in Real Madrid's squad for Wednesday. 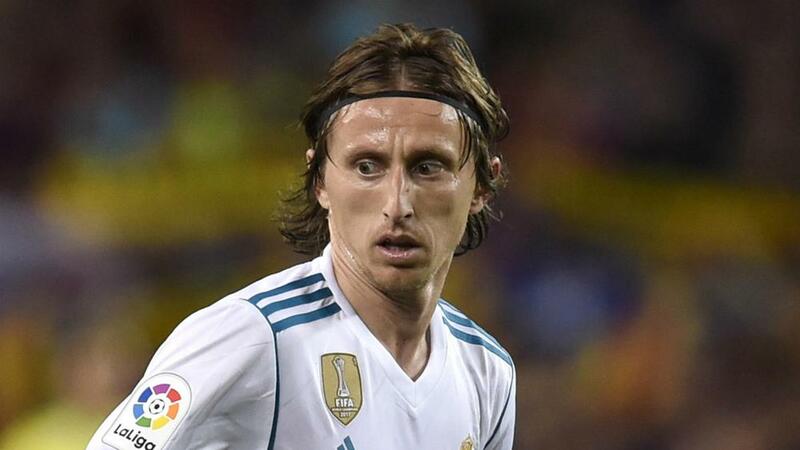 Luka Modric has been included in Real Madrid's squad for the UEFA Super Cup amid ongoing speculation he could join Inter. The Croatia midfielder, winner of the Golden Ball at the World Cup, has been strongly linked with a switch from the Spanish capital to Serie A, potentially following in the footsteps of former team-mate Cristiano Ronaldo. Luciano Spalletti has confirmed Modric is a transfer target, although the Inter coach expects the 32-year-old to remain at the Santiago Bernabeu. And Modric could feature for new Madrid head coach Julen Lopetegui in Wednesday's UEFA Super Cup against LaLiga rivals Atletico Madrid. He has been included in a 29-man squad named by Lopetegui, with Thibaut Courtois potentially set to make his competitive debut in the fixture following his arrival from Chelsea. Alvaro Odriozola is also included despite Madrid confirming on Monday the Spain right-back has a minor groin strain.